We have been collating examples of CSR best practice for over a decade. This is Ireland’s only database of best practice case studies in Corporate Social Responsibility. Our member case studies shine a light on sustainability and CSR in action in Ireland to encourage businesses of all sizes to promote and communicate their responsible business practices. This database is a testament to our members that have committed to continuously improving their social and environmental impact and embed sustainable business practices into the fabric of their operations. KPMG is a leading provider of professional services in Ireland. KPMG works with clients in all sectors of Irish business, providing a range of Audit, Tax and Advisory services. 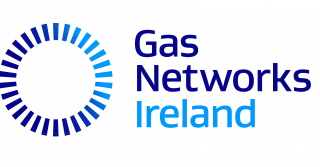 This article is an extract from a publication celebrating the 85th Anniversary of IGU (International Gas Union) and was written by Marie Lyster, Customer Experience Manager`and Rory Somers is Networks Materials Manager at Gas Networks Ireland.